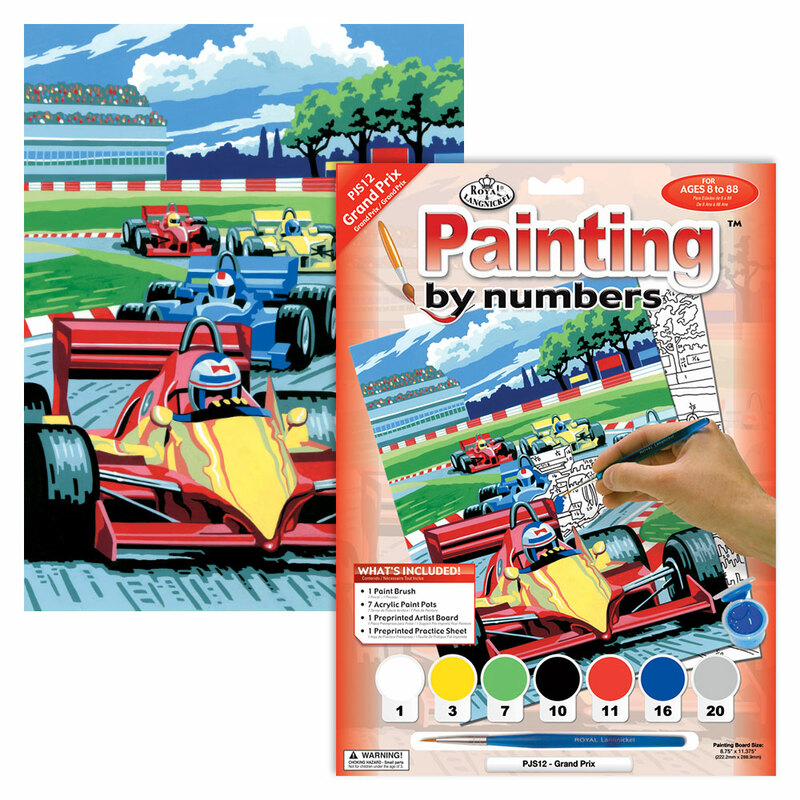 A lovely Painting by Numbers Set showing racing cars on a track, suitable for ages 4+. What a lovely way for your child to pass the time over the summer holidays, rainy days and not forgetting Christmas gifts. When complete, they can display it in their room as something to be very proud of.